After the midweek's round of international fixtures, we take a look at what boots the stars are wearing. While hunting for boot spots we have stumbled upon a pair of specially designed Puma boots, which are made in honour of Gianluigi Buffon, as well as quite a few white boots and plenty of blue Predators. So check it out. Some nations dreams live on, while other countries have had them shattered already. After this round of international games, the fight for the very sought after places in next years World Cup in Brazil, is really heating up. Teams fought hard and valiantly to get ever closer to the samba rhythms in Brazil and even though we haven't done as much running, we have also worked hard and dug up the very best boot spots from the international games. Frank Lampard (England)  Adidas AdiPure 11Pro White/Red It was not just Gianluigi Buffon, who reached quite a milestone in his career. Frank Lampard could in the away game against Ukraine, celebrate reaching his international cap number 100. 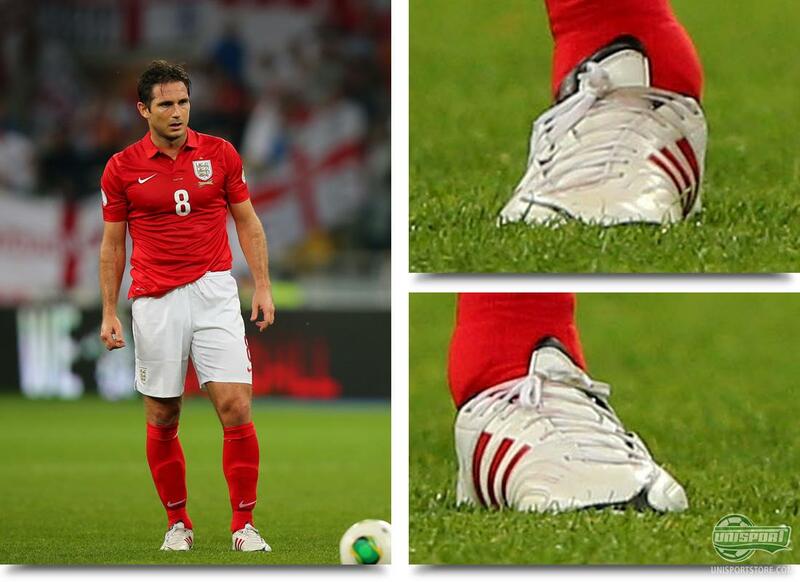 Even though that is an impressive acheivement, Lampard probably wouldn't have minded finding the back of the net with his AdiPure 11Pro and breaking the deadlock, in a game that finished 0-0. He did celebrate the 100 caps by remembering his late mother, with the text Mum written on his boots  a nice gesture. Robbie Keane (Ireland)  Nike CTR360 Maestri III Current Blue/Black-Volt A player who too has quite a few caps under his belt is Robbie Keane, who despite being just 33 years old, has already played 128 games for his country. In those games he has scored an impressive 60 goals, a great tally for the striker, who plays in Nike's control boot, the CTR360 Maestri III. 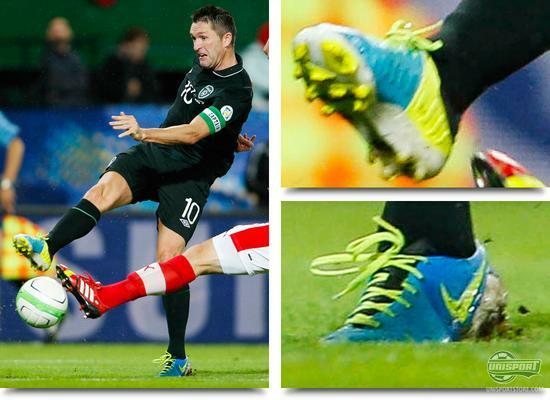 In yesterdays game there was however no goals in the boots and Ireland lost 1-0 til Austria. Anthony Pilkington (Ireland)  Adidas F50 Adizero White/Red With the defeat in mind, last nights game probably won't be one, which the Irish look back on with much joy. However there were some elements, which we will remember the game for. One of them is Anthony Pilkington's choice of boot. 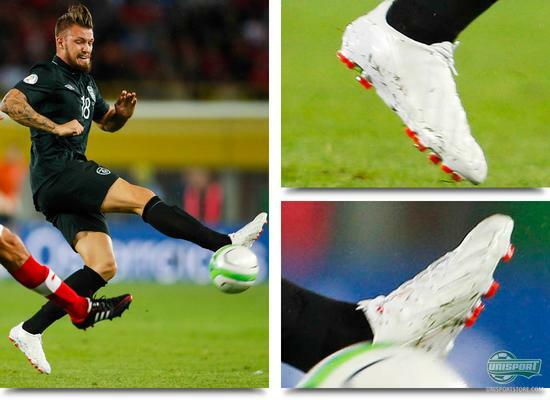 He wore a pair of the whiteout Adidas F50 Adizero, which are as elegant, as the wearers beard is not. This does however not change the fact that both are truly magnificent  the boots in particular if you ask us. Viktor Pe?ovský (Slovakia)  Nike CTR360 Maestri III White/Total Crimson-Black When you play in a white kit, then it's almost a shame not wearing white boots too. This certainly looks to be the thought process behind Viktor Pe?ovský's boot choice. He wore the white version of the Nike CTR360 Maestri III, which never got as much player coverage, as Nike made players wear the green version of the boot. The white version does however match the Slovakian kit exceedingly well, but this is probably just a slight consolation, as Pe?ovský and the rest of his teammates lost 1-2 to Bosnia-Herzegovina. 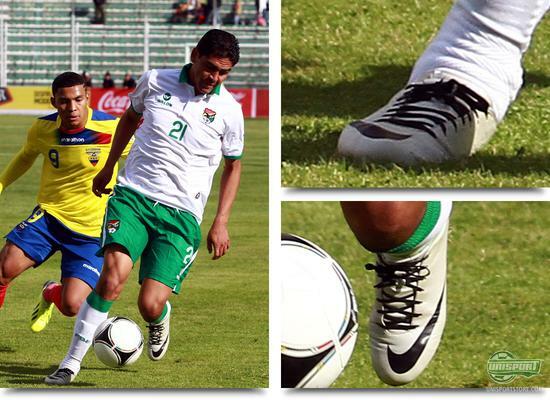 Ronald Centeno (Bolivia)  Nike Merurial Vapor IX White/Black It is however not just the European players, who look like liking white football boots. Also in South America they want to have that aura of class and that is definitely something Ronald Centrero does in his Nike Mercurial Vapor IX, which look like something he has made himself on NikeID. 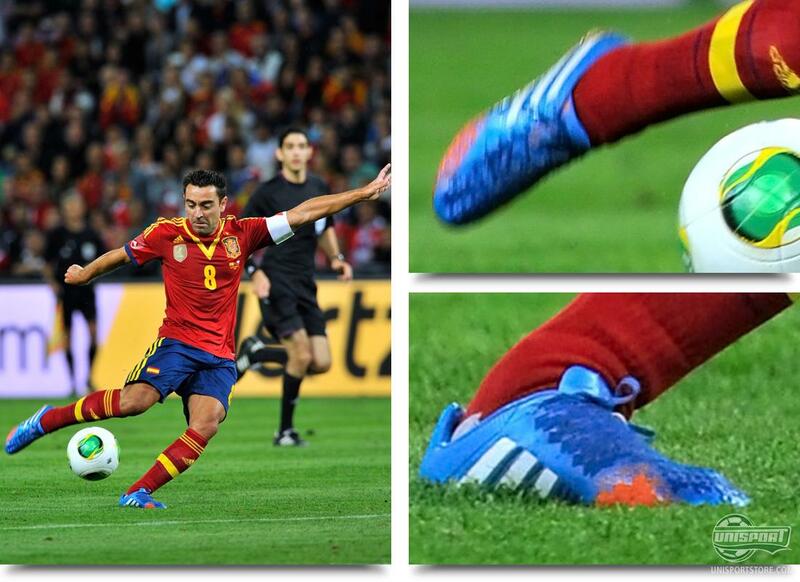 Xavi (Spain)  Adidas Predator LZ II Blue/Orange/Running White Now we have been so far a wide, we will round off with a real Predator hattrick. The new Adidas Predator LZ II Blue/Orange/Running White is already incredibly popular and in Spains friendly against Chile, the midfield general Xavi wore the new boot. 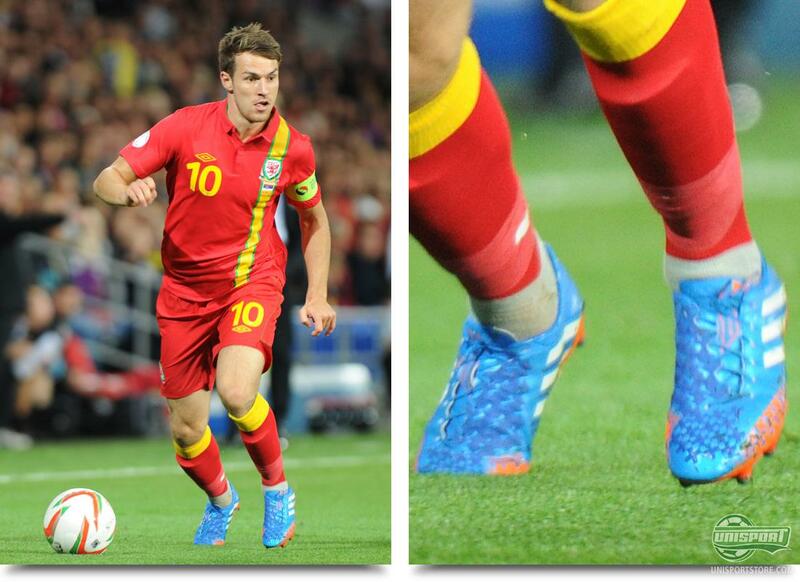 Aaron Ramsey (Wales)  Adidas Predator LZ II Blue/Orange/Running White Another Predator-player, who has also switched from the green colourway to the new blue, is Arsenal's Aaron Ramsey. In Wales' game against Serbia he captained his side, but unfortunately for him he couldn't lead Bale and Co. to victory. Instead Ramsey and his Predator's suffered a 0-3 defeat, which is never fun. Nani (Portugal)  Adidas Predator LZ II Blue/Orange/Running White The Portuguese star Nani had also hopped in the Blue/Orange/Running White Predator LZ II, when he played in the star-studded encounter against Brazil. The Brazilians went out victors, but you would think Nani would give the boots another go, when United on Saturday face Crystal Palace in the Premier League. 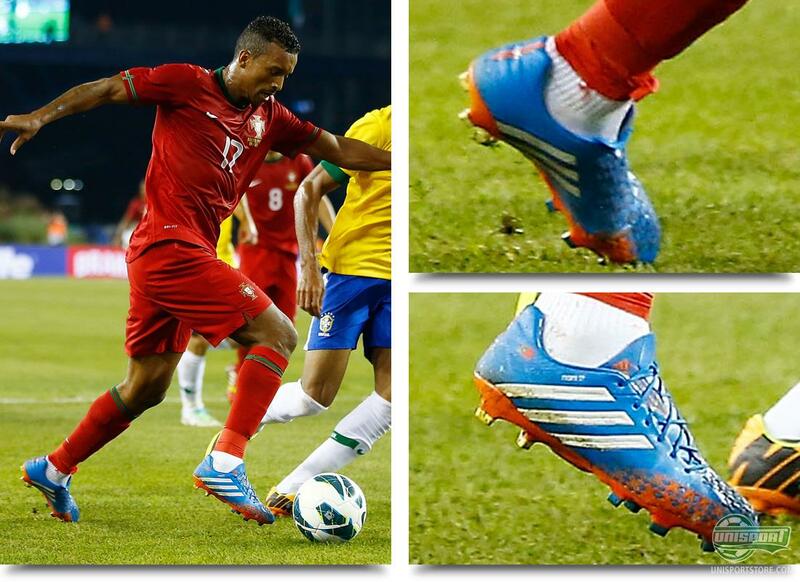 Worthy of note is also Nani's personalised stud-configuration, which has just two SG-studs underneath the heel and none beneath the front foot. 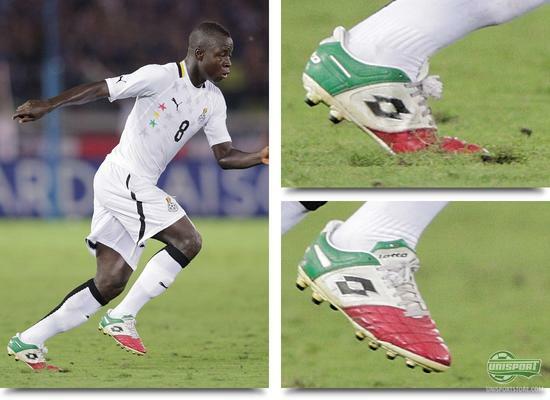 The mid week brought along plenty of international fixtures and we have used this to give you a round of boot spots. 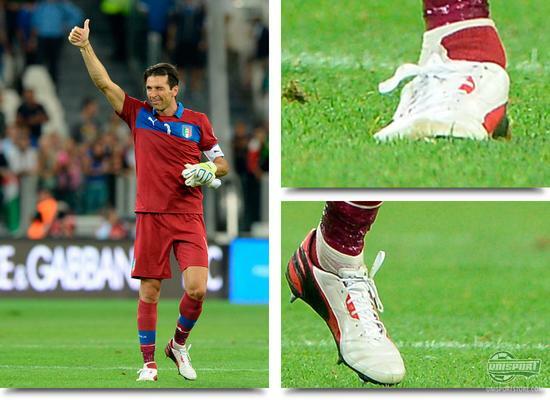 This time focusing on the white boots, as well as the blue Adidas Predator LZ II-hattrick. What do you think about this round of boot spots? And have you spotted something we missed? We would love to hear your comments in the section down below, or on Facebook and Twitter.